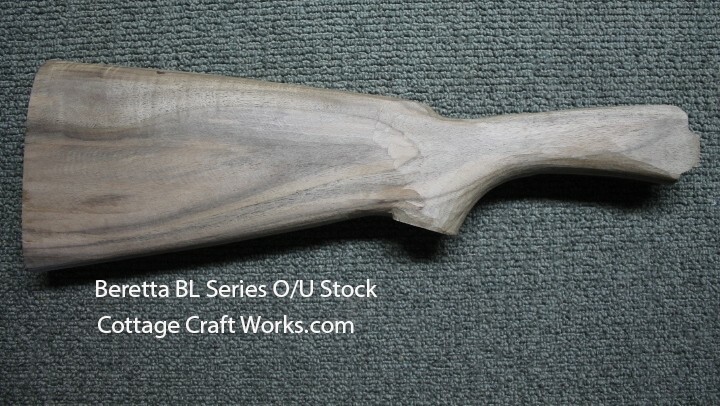 Machine inlet walnut gun stock example for Beretta BL Series O/U 20 gauge shotgun. Original will need to be sent in for verification. We will send you the address to ship when ordered. Note: You will need you to ship the original stock. We will send the address once the order is processed. This series of stocks vary so much in the Inlet that having the original stock is the only way that we can verify it with the original. Both stocks will be shipped back to you. Click Here for matching forend. A new ship fee of $10 for stock exchanges will be needed.